Home / Blog / Your Turn: What’s Your Grammar Gripe? What’s your greatest grammar gripe? It can be something you hear at home, on the street, or in popular media. Go ahead and get if off your chest in the comments below! My favorite gripe is when people say, “these ones” instead of just “these”. I used to cringe when hearing this, now it makes me smile and reminds me of a dear friend. The thing that makes me cringe is when people are speaking and at an extra “at”, “it” or “to” at the end of their sentence (for example: “Where it is at?” or “Where’s he going to?”). Don’t they know it makes them sound uneducated? Why not just say “Where is it?” or “Where is he going?” Ahh! Take a deep breath, Rebekah! 🙂 It just so happens that I did a post on that recently, too! A fellow teacher uses/misuses the term “incentatives”, using it for the term “incentives”. I have heard her use this term with parents in IEP meetings. It makes me cringe. That’s definitely a common problem among young writers. Although we don’t distinguish the pronunciation here in the States. They are both pronounced “yore” here. I wonder if we pronounced it “yoo-er,” we’d see less confusion. 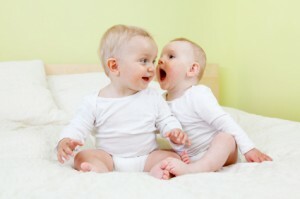 I talk to myself, you talk to yourself, but I talk to you, and you talk to me. If I have a question, I will ask YOU, if YOU have a question, don’t ask myself, ask ME. Good explanation of me/you vs. myself/yourself. Is this a grammar or vocabulary issue: W00t. I brought it up yesterday, but I’ll reiterate since it’s my only issue – I’m the person most of you people have a problem with. I never remember the difference between further and farther, I tried a project on affect and effect – probably 85% accurate to date, and I have been known to mix up loose and lose on more than one recent occasion. I’m just super proud of myself for finally understanding passive voice. But I can’t abide w00t. It’s not even spelled with LETTERS – those are ZEROS. I always have to add at this point my ulitmate concern of turnng into the society of Weena. You know, from The Time Machine? I just can’t stand it that the Dictionary dignified it by adding it as a word! It doesn’t belong in a dictionary, it’s spelled with digits! It doesn’t belong in a math book, it’s not a number. It belongs in People Magazine in the baby-daddy section. There, I feel much better. Thanks for having a comment section for pevish grammar – or, vocabulary. We’re allowed to modify right? I am happy to inform you that, after a thorough seven minutes of Googling, I have been able to verify that w00t does not, in fact, appear in any official dictionary. It appears in several slang dictionaries and was voted the 2007 Word of the Year in a Merriam-Webster Online Dictionary poll. It is included in their “open dictionary” which is only online, and seems to be a Wikipedia-type site. Something I have a big problem with is the distinction between affect and effect. Please enlighten…. My number one pet peeve of all time is the misuse of the you are contraction. That, and the misuse of there, their and they’re. There is a noun (person, place or thing) their is used to show possession and they’re is a contraction of they are. It’s not hard. It just requires a little thought while writing. Great to hear from you, Nora! First, what is the misuse of the “you are” contraction that bugs you? I’m not sure what you mean. Second, there, their, and they’re are certainly a problem, especially with young writers, but actually “there” is a pronoun, not a noun (You got the rest of it right!). Thanks, I enjoy reading your blogs. The misuse of the you are contraction that bugs me is when people do not use it properly. Like when they just say “your” when they really needed to say you’re. Or the other way around. I knew I would stick my foot in my mouth somehow. My bad on the pronoun, noun thing for there. That’s why you were my favorite english teacher of all time! 🙂 Also, thanks for the you tube link for the affect, effect thing. Troubles me to this day! Hopefully the video will help. Continue blogging and I will continue reading!!! OK, you wanted grammar gripes. I found it hard to limit to just one. Thanks Alana! You were the first to break the ice! The use of “loose” when the correct word is “lose.” It seems as if it’s a recent thing. I never used to see it so much. Now I see it all the time. Yeah, that’s a spelling mistake that never gets caught by spell checkers. And it makes sense. It’s a crazy, arbitrary spelling anyway. Think about it. You add an “o” but you pronounce the vowel the same way in both words (oo). What changes is the sound of the final consonant. (s or z). On the other hand, these are both very common words, and it’s not asking much for moderately educated people to memorize their unusual spellings. Yup. I actually did a post on that not too long ago, Jill. Here’s the link: whole nuther. You might find it interesting.